Vicky Salcido-Cobbe from Willits here. 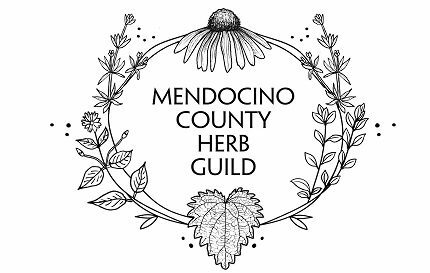 I had the honor of introducing the vision of the MCHG to the Inland Mendocino County Farmers Guild on June 20th., and what transpired that evening was very inspiring and hopeful. In a nutshell, farmers are very interested and excited to grow herbs for our dream of an Herb Exchange for local herbalists. The main concern is making sure the herbs will be purchased once ready to harvest. We discussed contract growing as the most viable option, especially in the beginning stages. On top of contracts, farmers expressed a desire for a secondary and even tertiary source for buyers, as the risk for growing a new crop is high. Perhaps we partner with the Sonoma County Herb Exchange? Another idea was to partner with existing nurseries and herb growers to provide herb starts for farmers. This idea was put forth for a variety of reasons, but one was that some herbs require extra steps to seed (stratifying, scarification, etc) and having flats would inspire and encourage farmers to grow new herbs. Farmers also echoed what had been said at the first MCHG (Inland) meeting – that it would be wise for experienced herb growers to create a form of education to teach farmers how to grow and harvest herbs for highest medicinal content. The idea of harvesting workshops and a resource list was thrown into the pot. We pointed out that many crops that herbalists are interested in could also support the fertility and health of the crops of farmers, such as dynamic accumulators like Dandelion, Monarda spp., Chickweed, Borage, Chicory, etc. This would be an excellent topic to include in a resource list. NEXT STEPS: Farmers are ready for us! Are we ready for them? We need to know what people are interested in buying, and you can help us learn that! Please CLICK HERE TO FILL OUT A SURVEY to express your needs as a medicine maker. Many thanks to all!